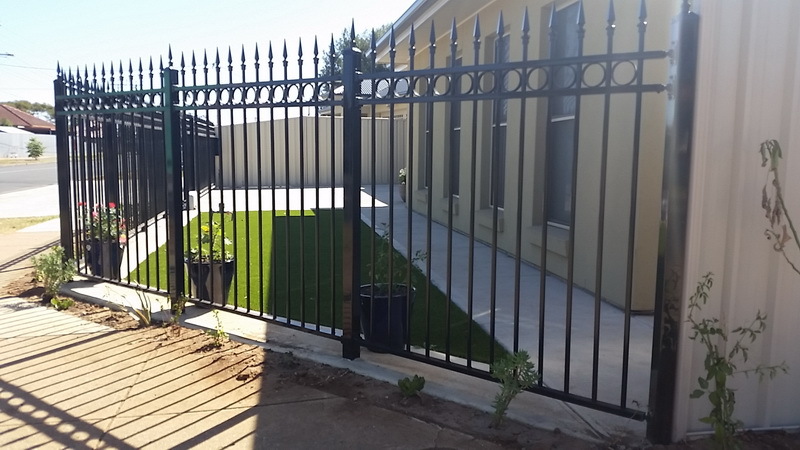 Tubular Steel Fencing can be used in multiple applications. For your home, schools, pool, business, train lines, the list goes on. 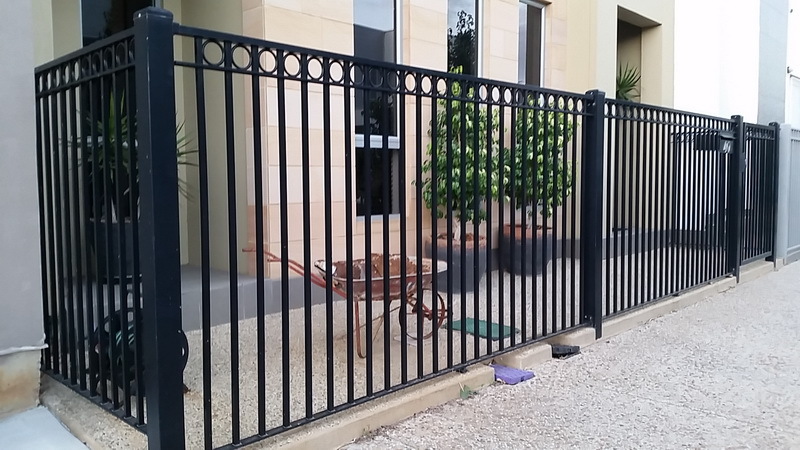 Tubular Steel Fencing is extremely strong and secure and is fabricated and powder coated locally. 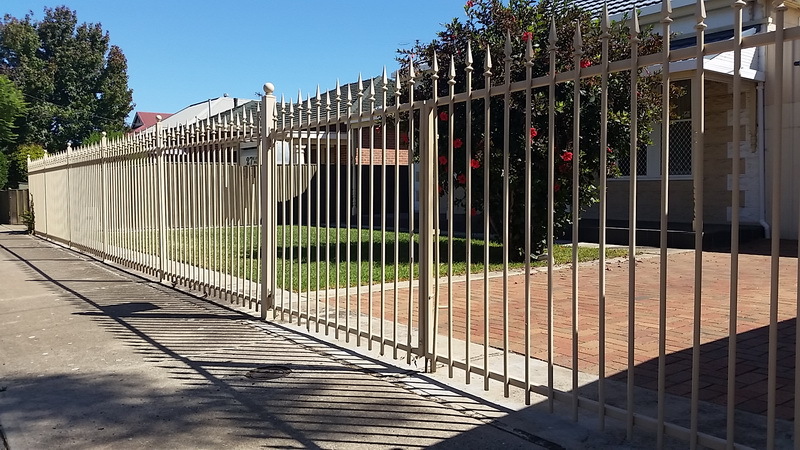 There is a large variety of Dulux colours to choose from for your new powder coated fence. The most popular colours around Adelaide are Black and Cream. 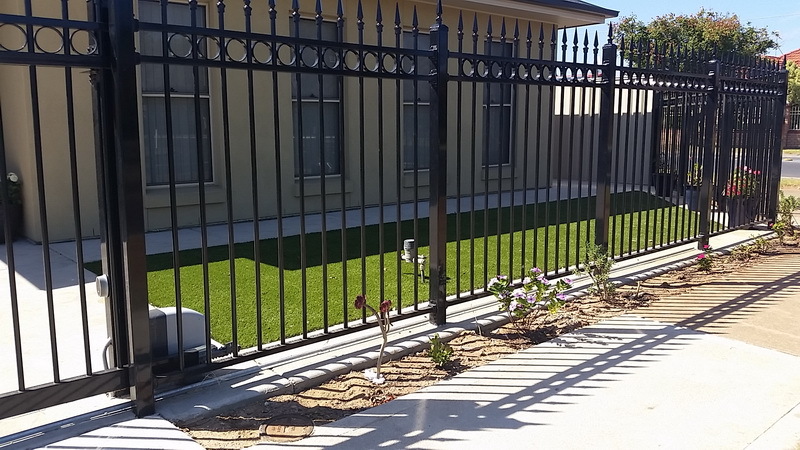 Our consultant can help you make an informed decision when choosing a design style and colour to suit your property. 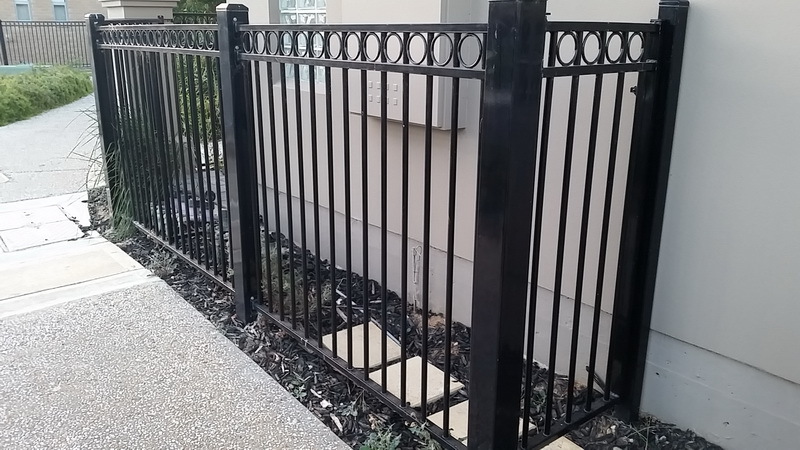 Tubular Fencing is welded to your specifications and every job is unique. 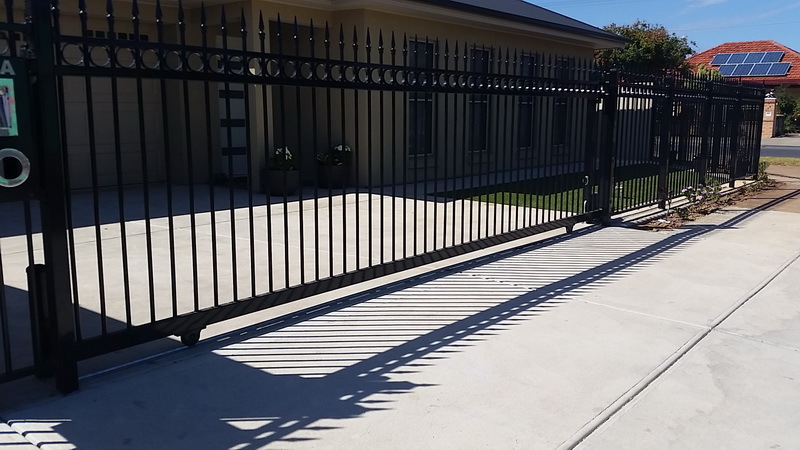 Matching sliding and swinging driveway gates and pedestrian gates are included in most projects. 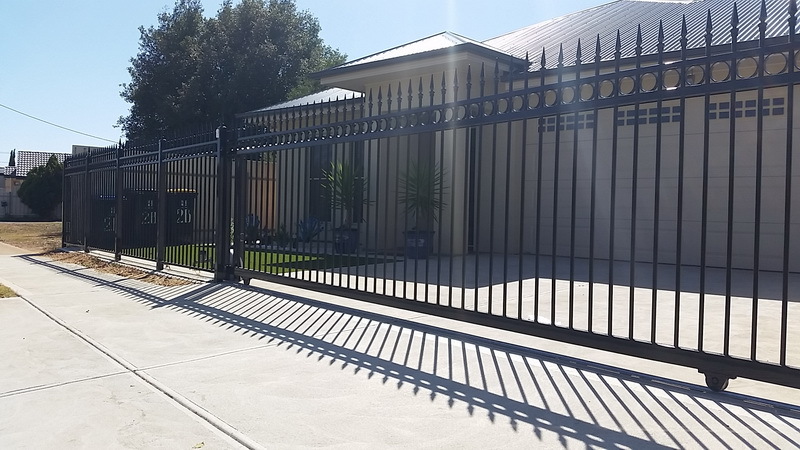 We are able to fully automate gates, either sliding or swinging and our electrical contractor will make sure everything of compliant with Australian standards and will issue a Certificate of Compliance. 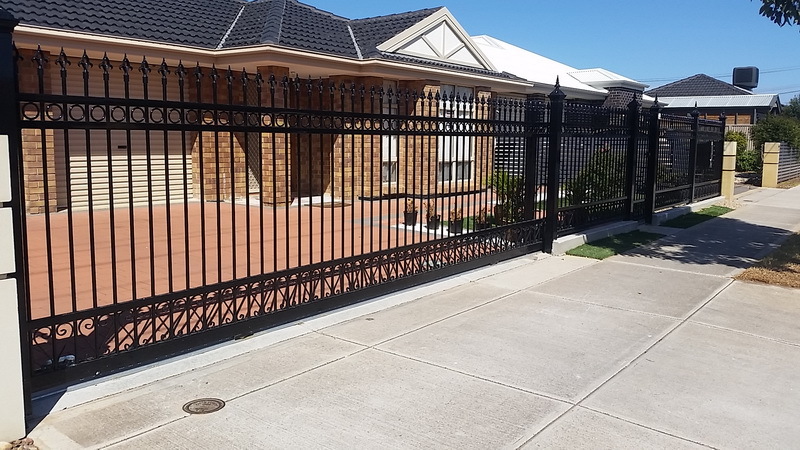 It is advisable to consider your fencing option before beginning any further landscaping, especially concrete driveways, as running electrical cable underground prior to pouring your concrete is strongly encouraged.